Portable generators have come a long way from what they used to be. Today’s generators are compact, lightweight and easy to carry with you anywhere. They can be used for leisure such as camping outdoors or in case of temporary power backups during natural disasters. 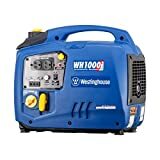 If you are looking for a small yet powerful unit at a reasonable price then this review of Webetop Portable Generator will help you decide. In this review, we will tell you about the different features, specifications, benefits, and downsides of the product. 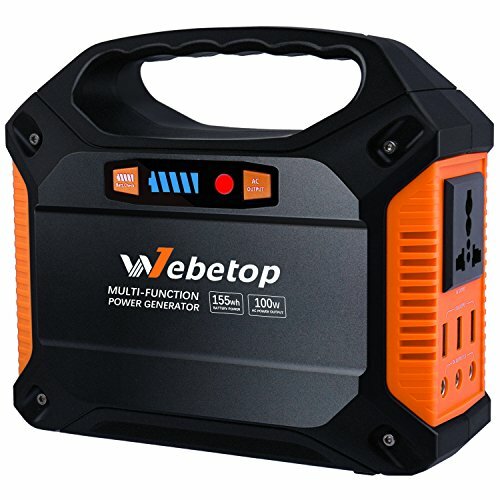 The Webetop Portable Generator packs a larger power capacity of 42000mAh and there are built-in USB and DC ports. The product has a minimalist design and we like the briefcase-frame with handle which makes it easier to carry the inverter from one location to another. On the front side there is the battery level indicator and AC output. On the side panel you can find three different types of outlets – AC outlets, USB outlets and DC outlets. 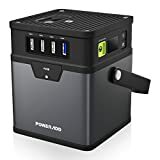 This is an amazing temporary power backup that works great during emergency situations. It is compatible with most smart devices and can keep these devices charged for a long time. It works perfect for charging appliances at home, while camping outdoors or travelling. The device can be used to power RC helicopters, smartphones, laptops and other light electronic devices. In case of a storm like Irma or Maria, there can be power outages for several days. This temporary generator works like a blessing during these times. You will never run out of power because the inverter can be charged with solar panel. So as long as there’s sunshine, you will never run out of charge in your generator. It can also be charged using a 12V car adapter. We would have liked it if the product included solar panels but it does not. So, you will have to buy them separately. Although this is a mini generator, we would say that you should not underestimate its capacity due to its size. When fully charged, the inverter can last for 7 to 8 hours depending upon the type of appliances run using it. 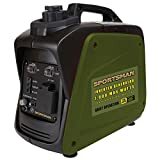 They run on 155WH 42000mAh lithium ion batteries that weigh only 3.48lb and this makes them the smallest and cutest portable generators in the market. You can easily keep it in your backpack or car and carry it with you wherever you go. If you are looking for a portable generator for camping or to work as a disaster kit during emergency situations, the Webetop Portable Generator fits the bill just right.